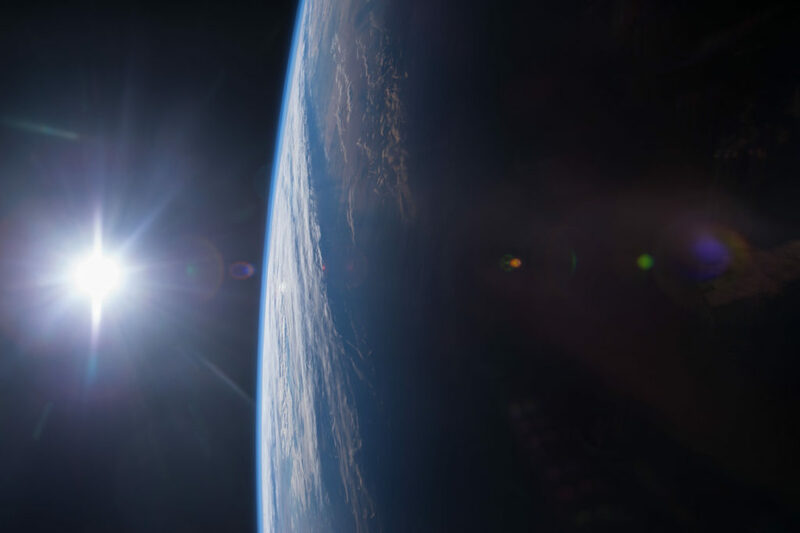 April 19, 2016 – The global space economy is growing, generating more than $300 billion a year in space-related activities, and attracting new, diverse participants and investors. A recent study also found more private money invested in commercial space development in 2015 than in the previous 15 years combined. NASA has selected six new research proposals to understand the effective drivers of investments in the space economy. In its second call for economic studies related to investments in the space economy, the agency picked studies that cover topics ranging from in-space manufacturing in low-Earth orbit (LEO) to the economics of resources obtained from near-Earth objects (NEO), such as asteroids. “This year’s response of 32 proposals competing for only six grant opportunities shows both the strength and the diversity of interest in the economic development of space,” said Dr. Alexander MacDonald, NASA’s Senior Economic Advisor. The six studies selected this year will cover topics ranging from in-space manufacturing in low-Earth orbit (LEO) to the economics of resources obtained from near-Earth objects (NEO) such as asteroids. “The studies we chose will help us understand the dynamics and potential of future commercial space developments, both in partnership with the government, and as privately funded ventures. Some of the studies will also look to history to harvest the lessons learned from analogous developments in the past,” said MacDonald. One study offers unique insights into an area that is often overlooked in space economic analyses, “The Start Up Supply Chain;” specifically, the current capabilities of the industrial base to support startup space companies. Proposed by the Tauri Group, this study will characterize the inexpensive system components that are widely available today and used to build new types of space systems, as well as less well-known technologies whose use might catalyze new opportunities and new space ventures in the near future. The goal of the Massachusetts Institute of Technology study, “Modeling and Simulation for Strategic Development of a Profitable In-Space Manufacturing Economy,” is to determine the necessary parameters of future profitable space-based manufacturing operations with an emphasis on additive manufacturing technologies. The proposers note that in-space manufacturing, either from raw materials launched from Earth, repurposed from other in-space components, or produced from extraterrestrial materials, is a crosscutting application, providing benefits across different subsystems, spacecraft, and system architectures. The study will examine issues and opportunities from technology development, customer demand volumes, supplier capabilities, and the constraints of orbital mechanics in order to explore the trade space. The study “Protein Crystallization for Drug Development: An Empirical Appraisal of Economic Effects of Microgravity” proposed by Research Triangle Institute International will leverage new data on the effects of microgravity on protein crystals in an economic analysis of the benefits and costs of sending proteins to space to advance drug discovery. The study will provide estimates of economic impact and strategy recommendations to help understand the medical and commercial value of protein crystallization in space. “Stepping Stones: Economic Study of Space Transportation Supplied From NEO Resources,” a study proposed by Trans Astronautica Corporation, will evaluate the degree to which asteroid mining and resource utilization can enable significantly increased industrial activity beyond LEO and characterize the possible economic benefits of this potentially important new resource. The Stepping Stones study will analyze market mechanisms, private sector partnerships, non-traditional commercial entities, economic benefits, and competitive stresses associated with the technology to exploit near- Earth asteroid resources for the development of a self-sustaining, reusable space transportation network. The evolving role of government in commercial development will be examined from a historical perspective by Moment LLC in the study “NACA and NASA Industrial Intelligence, 1945 to 1963.” During the 1950s, the aerospace industry shifted westward and into missiles and supersonic aircraft, then into satellites and crewed vehicles. This business history of the National Advisory Committee for Aeronautics (NACA) and NASA Western Support Office in Santa Monica from 1945 to 1963 explores how NACA and NASA gathered intelligence on the small entrepreneurial firms entering the space economy, and how it identified mechanisms for NASA support at the beginning of space development. In its study “From Sailing Ships To Space Ships: How Commercial Firms Utilize Outside Assistance To Reduce Financial Risk In The Emerging Space Transportation Industry,” the American University will examine the external economic practices used to assist the commercial launch service industry and compare those practices to the ones historically used to reduce financial risk in new transportation activities. The resulting study will merge three investigations: a history of practices used to assist emerging transportation industries, a series of financial case studies describing outside assistance for commercial space transportation firms, and an assessment of the effect of such practices in reducing financial risk. Program officials selected these six proposals through a competitive NASA Research Announcement and a comprehensive review process. With the high interest and strong quality of the proposals, NASA’s Emerging Space Office expects to release the next call for economics research in September 2016.